Another fun pair of earrings keeping with the holiday spirit! 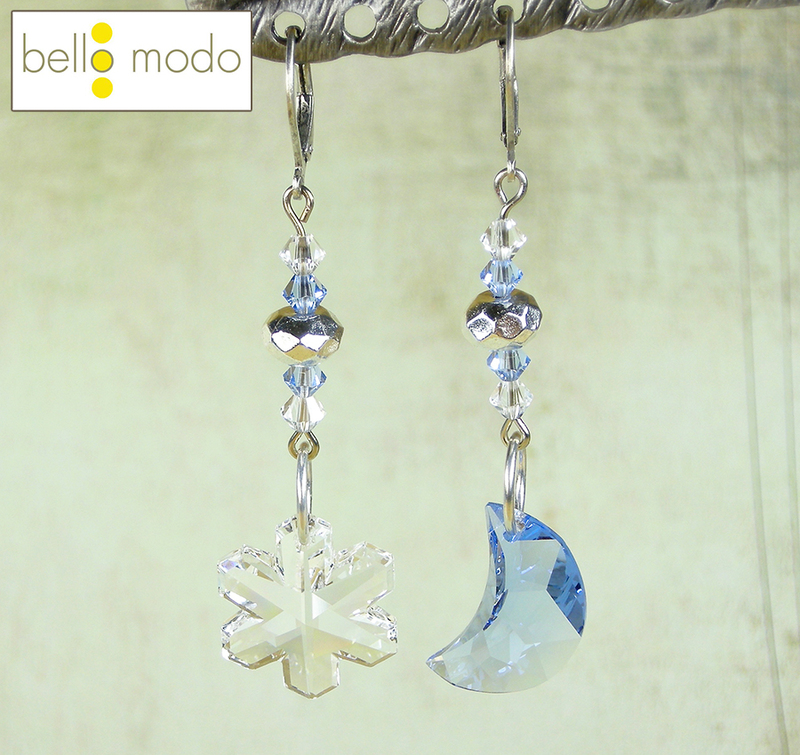 This pair highlights the Swarovski Moon and Snowflake pendants. To one of the Eye Pins, add one each, in this order: crystal bicone, light sapphire bicone, metal bead, light sapphire bicone, crystal bicone. Trim the end and make a simple loop. When you close the loop add the ear wire. Repeat for the second pair. Attach the crystal pendants to the beaded eye pins with the large round jump ring.